How has your day been? 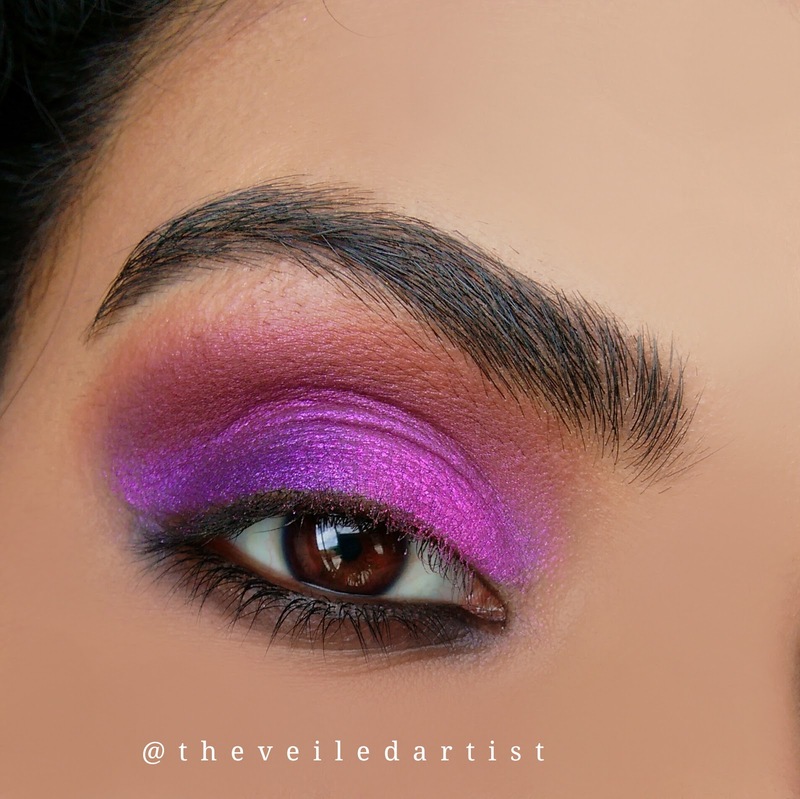 Today's post is going to be a tutorial on this super shimmery pink and purple smokey eyes. I suggest you do your eye makeup before your foundation because we're working with very bright eyeshadows, we may experience some fallout. Also, I decided to fully skip liner for this look and let the lashes do the talking. So let's get started! Prime your eyelids with a black eyeshadow primer. 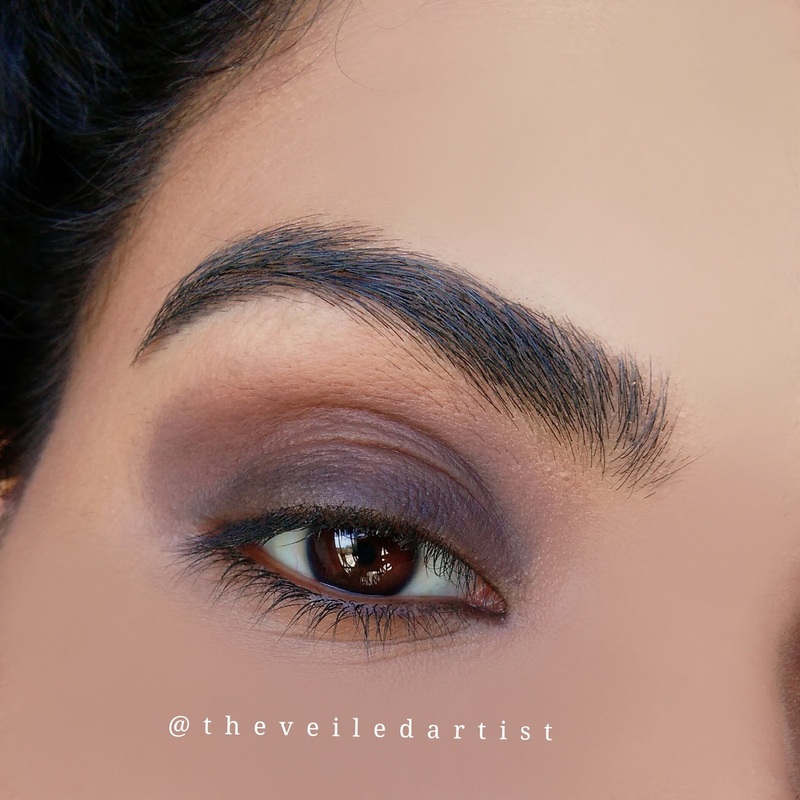 You can use a black cream eyeshadow or even a creamy black pencil all over the eyelids and blend it out if you don't own a black eyeshadow primer. I used the la girl pro eyeshadow stick in black. This is to ensure the shadows apply darker and richer. 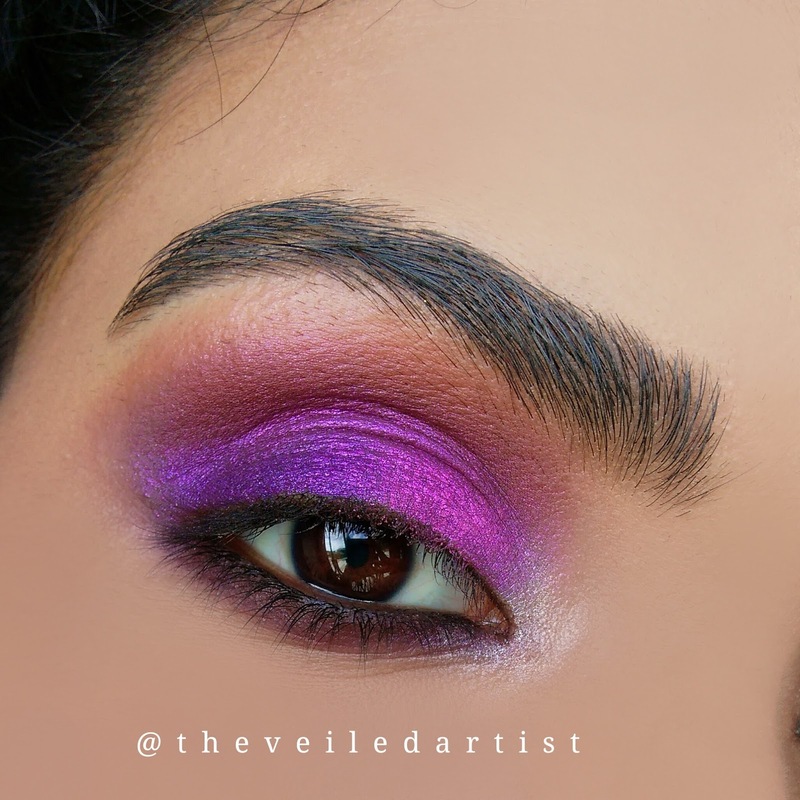 Pat the pink eyeshadow into the inner half of your eyelids. 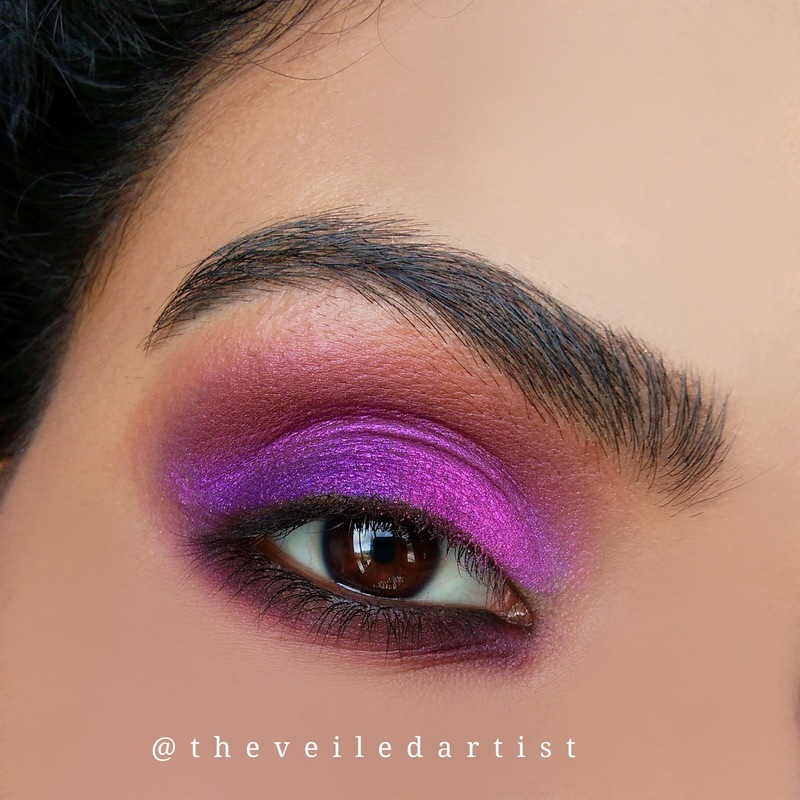 Pat the purple eyeshadow into the outer half of your eyelids and blend it into the pink eyeshadow we previously applied. 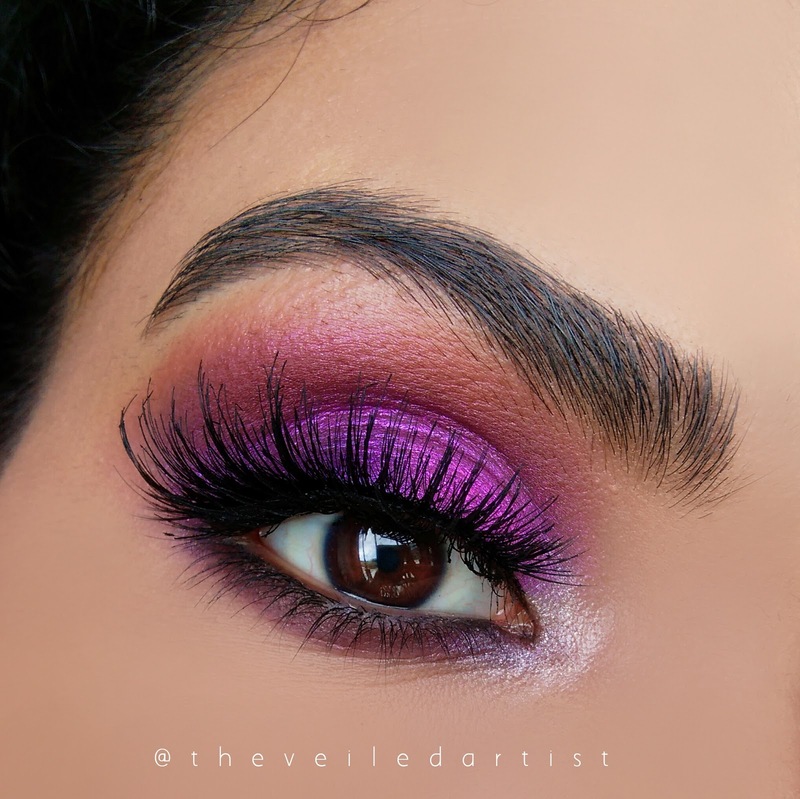 Using the matte dark pink eyeshadow, blend the top edges of the pink and purple shimmery eyeshadows you applied previously, by working the matte pink eyeshadow into your crease using side to side motions. Messily apply the creamy black pencil liner onto your lower lashline and smudge it out with a pencil brush or your finger. 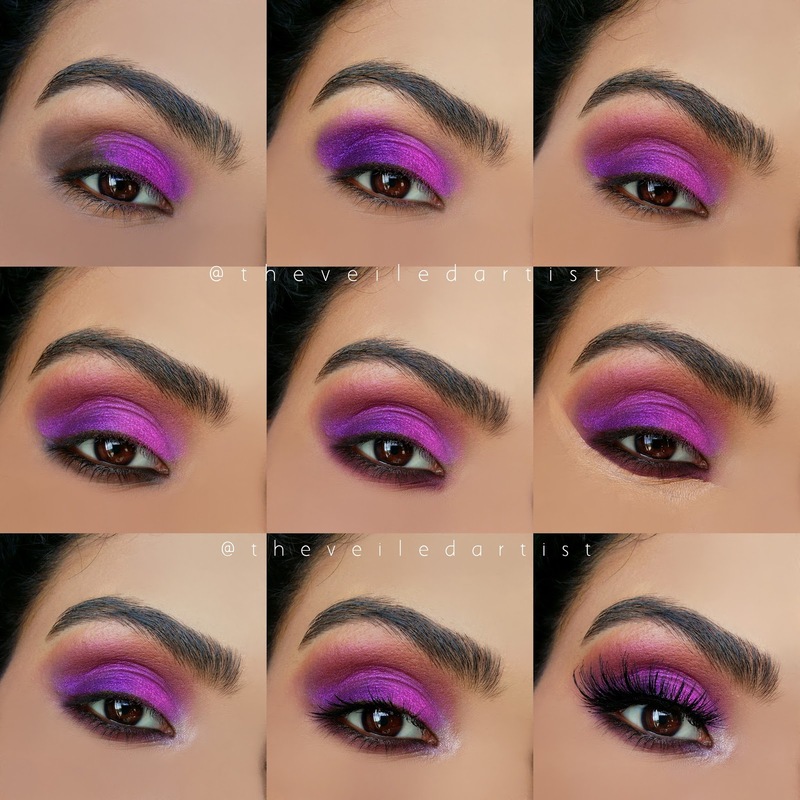 Blend the same matte dark pink/magenta eyeshadow we used in the crease, on your lower lashline. Right above the area where we blended the black pencil. 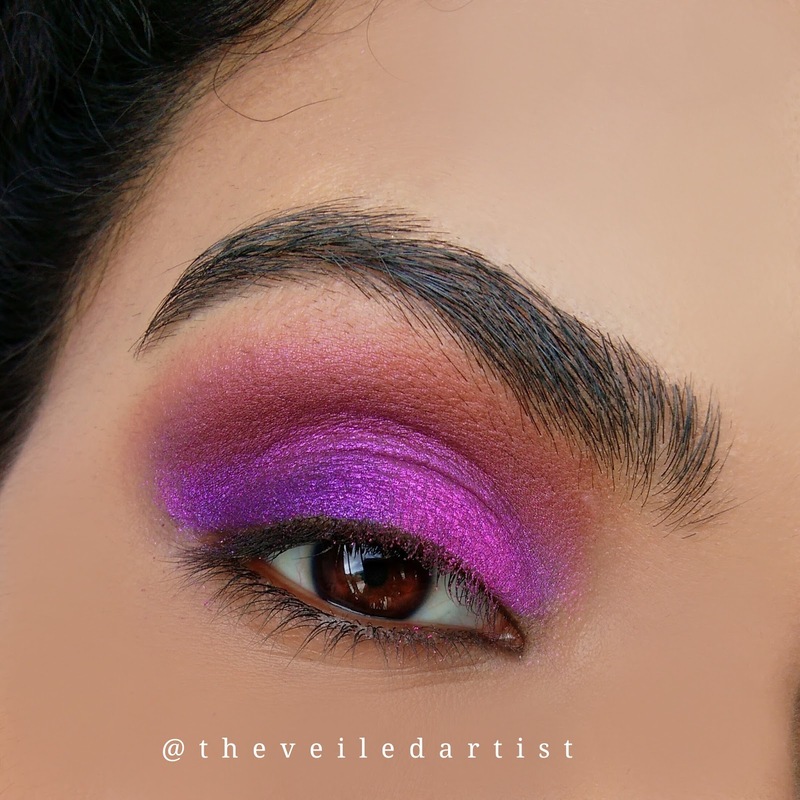 Clean up any eyeshadow fallout under the eyes with a makeup wipe and apply your foundation or under eye concealer starting a little away from the lower lashline all the way to the tail of your brows. Blend this out. 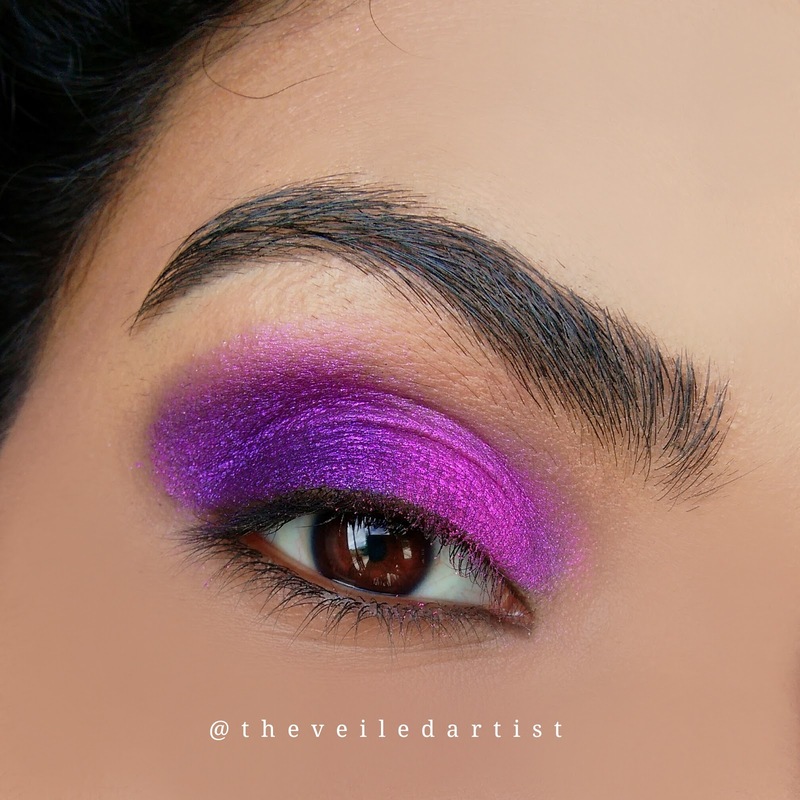 This step helps give the eyeshadow and eyes a clean and lifted look. 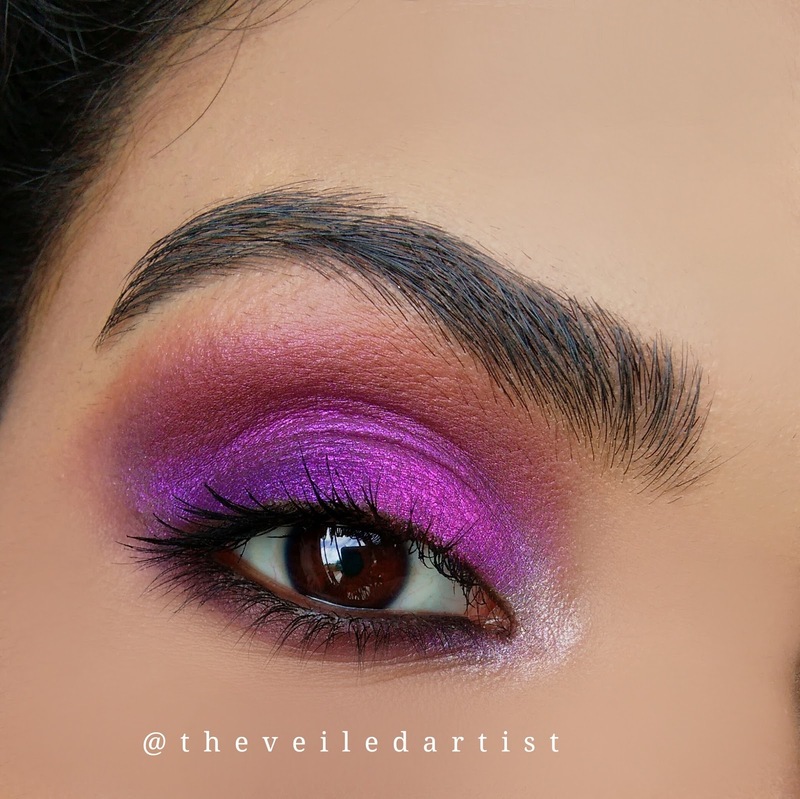 Pop on the shimmery champagne shade into the inner corners of your eyes and carefully blend it into the eyeshadows on the eyelid and lower lashline. 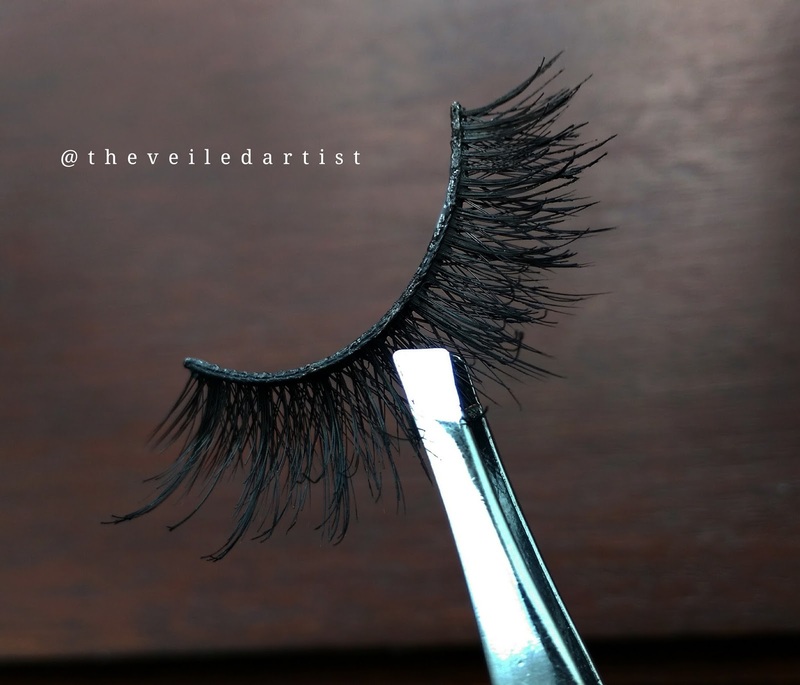 To prep your lashes for the falsies, curl your lashes and apply mascara. 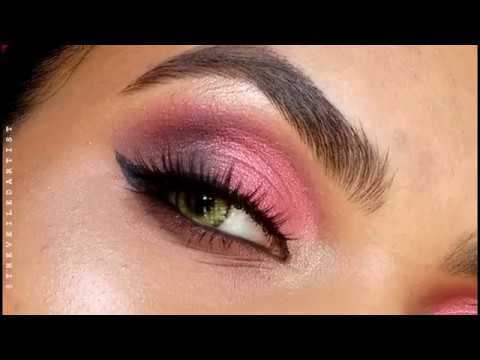 This will help blend your natural lashes with the false eyelashes and also remove the bright eyeshadows that may have gotten onto your lashes. Pop on your falsies! I'm using the Jade style lashes(my new lash obsession) from hudabeauty. And you're done my loves!! 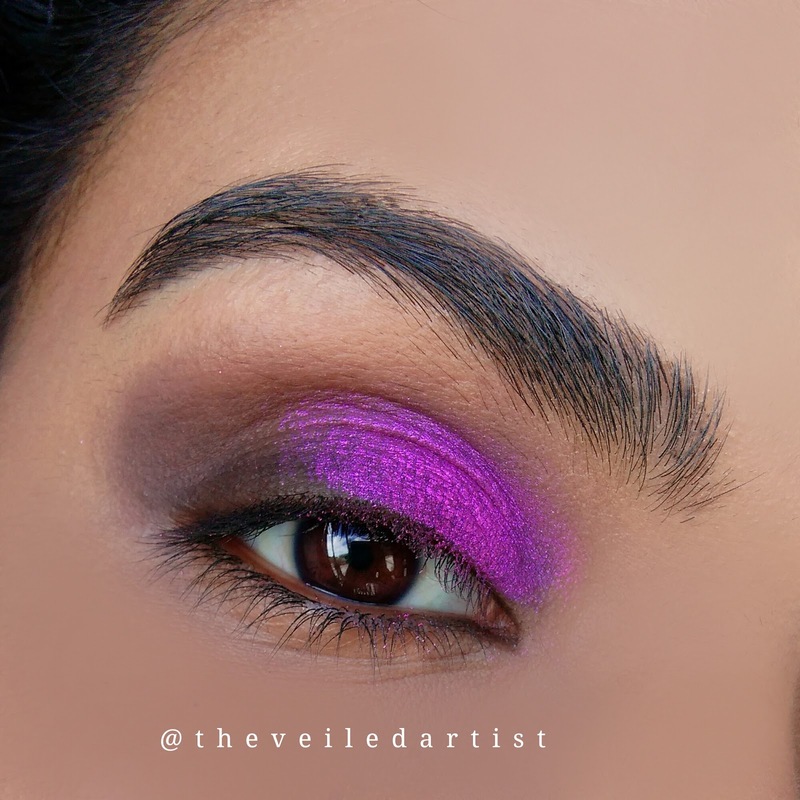 All the shimmery eyeshadows I used in this look were from the la colors haute palette and the matte pink was from the bh cosmetics second edition palette. I hope you enjoyed this easy tutorial and I hope you try it out! You can check my last post here. It was a review of the new maybelline spider effect mascara. Check it out to see if it really gives all the volume maybelline claims it will give you.